A new activity programme that aims to support people with poor mental health through physical activity is set to launch at the Forum 10th Oct 11am-3pm. Anyone who has ever struggled with anxiety, depression or low mood is invited to visit the forum on the day to try out a range of fun activities. The programme, called 'Get Set to Go' will support people experiencing mental health issues to gain the confidence to join sports clubs, become a gym member or take up a new activity like running or yoga. The programme encourages people who have struggled with issues like depression or anxiety to take part by offering a range of activities to get involved with. Get Set to Go has been coordinated by Norwich and Central Norfolk Mind in partnership with Active Norfolk, having been awarded funding from Sport England and the National Lottery to aid in the implementation of these activities in Norwich. The programme aims to improve physical and mental health through physical activity opportunities. 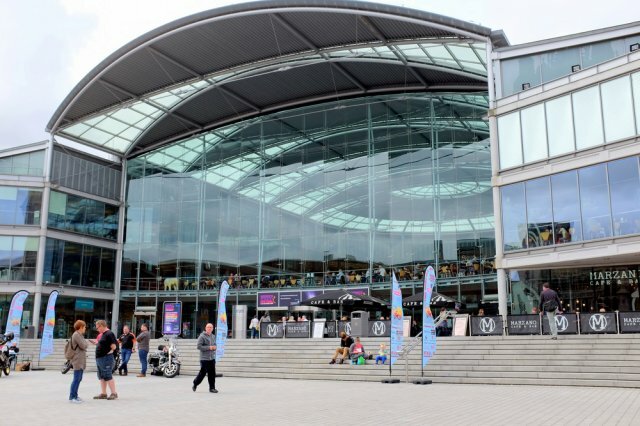 The launch event, taking place at the Forum, in Norwich City centre, from 10am-3pm and will see a range of activities on offer including yoga, tennis and table tennis. Staff from Active Norfolk and Norwich and Central Norfolk MIND will be on hand to assist with the delivery of these activities. The event takes place on World Mental Health Day (which marks a day for improving education and awareness around the range of mental health problems, and reducing the social stigma around it. A 12-month pilot edition of the Get Set to Go programme received excellent feedback from participants who reported, in the first global study of its kind, that they were better able to cope with life events as a direct result of improved physical activity levels. As a result of the positive feedback, the programme has been extended and will see free activity taster sessions happening all over Norwich for the next 18 months. Ruth Taylor, Head of Partnerships at Norwich and Central Norfolk Mind, says: "We're absolutely thrilled to have been chosen, with our partner, Active Norfolk, as one of the pilot sites for this exciting and innovative programme. We'll be able to build on the popularity of our Pace of Mind running groups to offer lots more people a whole range of fun sports activities, which can have such a huge impact on our mental health - no matter what our levels of fitness! " As part of this work, they will also be offering free Mental Health Awareness for Sport and Physical Activity (MHASPA) training to sport sector staff, which has been developed with UK Coaching. They will train Peer Volunteers with experience on how mental health problems can be a barrier to getting more active, to support participants to attend Get Set to Go sessions and try out different activities in their community.